If you need to have a parking lot or driveway repaved, be sure to hire a professional paving company to do the job right. The pros at Bennett Paving in Cookeville, Tenn., know that correctly installing a parking lot or driveway can make a big difference in how long it lasts—from just a few years to 30 years or more. Here’s what to expect from a professional paving job. Proper subgrade preparation is essential because the better the subgrade preparation, the better the results. First, the soil should be excavated and graded for proper water drainage away from your house or building. Any soft or unstable material should be eliminated and replaced with a good base stone rock A strong base will ensure strength and durability. 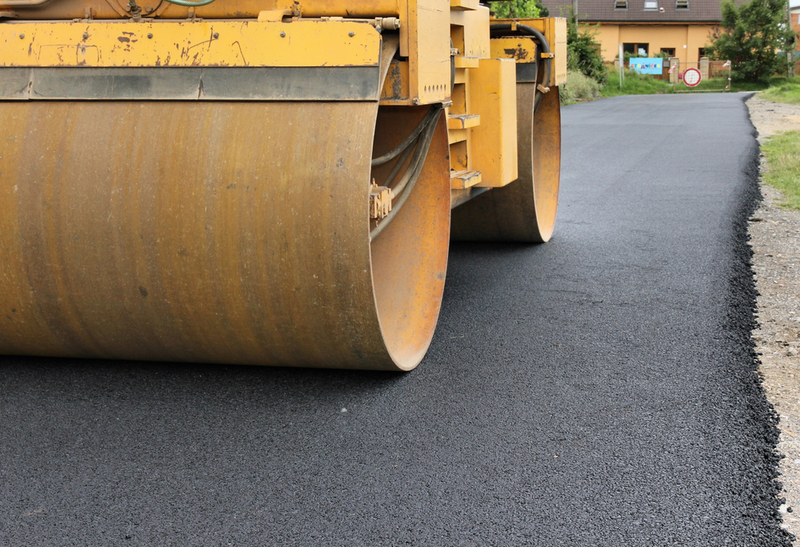 Once grading is complete, the subgrade should be compacted with heavy-duty rollers before installing the asphalt. Also, an herbicide should be used to minimize vegetation growth that can cause irreparable damage and eventual failure. If possible, asphalt should be installed using an asphalt paving machine, not by hand. This will provide a consistent depth of asphalt and a smoother surface finish. Smaller surfaces will need to be done by hand, which will add to the cost. Once the asphalt comes out of the paving machine, it needs to be compacted while it’s still hot. If the asphalt cools down too much before rolling it, it’s not going to compact enough. This will allow water to penetrate the asphalt and cause it to deteriorate, dramatically decreasing its life expectancy. The edges also need to be compacted to help strengthen them and make them less prone to cracking and deterioration. If you need a new parking lot or driveway, or you’re just interested in a parking lot or driveway resurfacing, call Bennett Paving at (931) 858-4596 for a free estimate. Or visit the company’s website for more information on its products and services.